Establishes a health baseline – Scheduling eye exams as directed by your doctor will help develop a baseline of your eye tissues, so changes can be detected easily. 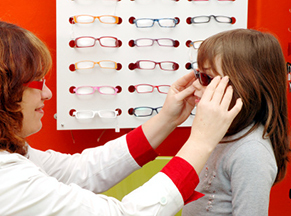 Research demonstrates that people with vision insurance are more likely to schedule regular exams. Eye doctors recommend getting a baseline comprehensive eye exam before or at age 40. Identifies potential health problems – The eye is the only part of the body where doctors can get a clear view of blood vessels, nerves and connecting tissue, reports the American Academy of Ophthalmology. The eyes have a unique communication role with other parts of the body because they reflect medical problems located elsewhere. Even a miniscule dot in a blood vessel may be detected during an exam, which could be a sign of cancer or a mass that could lead to stroke. Other potential medical problems eye doctors can detect include diabetes, high blood pressure, autoimmune diseases, sexually transmitted diseases, brain bleed, stroke, head trauma or eye diseases, such as glaucoma or macular degeneration. Learn more about what happens during an eye exam. I had no idea that when you get an eye exam, its one of the only times that a doctor has a clear view of blood vessels. I think another benefit of when you get an eye exam is getting to enjoy your corrected vision. I remember after I got my first eye exam, and it was like seeing the world all new! I never knew that eye examinations can help doctors to get a clear view of blood vessels, nerves, and connecting tissue that can give them a signal if there’s a health issue that needs to be dealt with such as diabetes. Our family has a history of diabetes, and it’s important for me to prevent from having it as well. It’s crucial for me to make sure that I can do the necessary steps to prevent any health issues from getting worse. I will make sure to consider visiting an eye doctor soon. My favorite part of your blog is when you talked about how comprehensive eye exams should regularly be done every 2 years for people ages 18-60 years old. My husband and I want to make sure that we have healthy visions since both of our families have histories of eye problems. We’re wondering how often should we undergo eye exams to keep our eyes healthy, so I’m glad that I came across your blog. Thanks for sharing this. It can really surprise people to learn just how helpful regular eye exams can be. As the article points out though, they are essential for identifying health problems early. After all, if the eye doctor can detect the eye disease during the exam then they can immediately start talking to you about options to treat it.